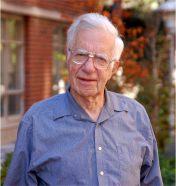 Prof. Honig received a BS degree from Amherst College in 1945 and a PhD degree from the University of Minnesota in 1952. After a postdoctoral appointment year at the James Forrestal Center of Princeton University in 1953, he joined the Department of Chemistry at Purdue University in 1953, and was promoted to Associate Professor in 1958. From 1959-1967, Prof. Honig was Associate Group leader and Group leader at the MIT Lincoln Laboratory in Lexington, MA. He returned as Professor of Chemistry to Purdue University in 1967 and retired from that position in 2000. During the latter years, he was Editor of the Journal of Solid State Chemistry (1982-2000), the Chairman of the Materials Sciences Council (1968-1982), and published over 420 refereed publications and five books. Prof. Honig has earned an honorary degree from the University of Science and Technology (2009, Krakow, Poland; fellow of the New York Academy of Sciences; Wetherill medal (1995); Editor, Journal of Solid State Chemistry (1982- 2000); Honorary Member, Materials Research Society of India; two issues of the Journal of Solid State Chemistry (1990 and 2000) and an issue of Solid State Sciences (2000) dedicated to him; and a session at a Materials Research Society meeting (2000) held in honor of his retirement. 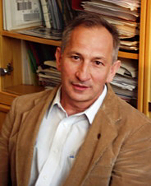 Józef Spałek is currently professor of theoretical physics in the Marian Smoluchowski Institute of Physics, Jagiellonian University in Kraków (Poland). 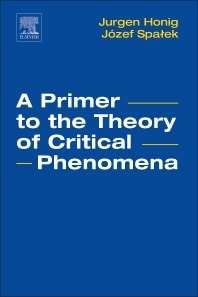 He is interested in theory of strongly correlated systems and, in particular, in high-temperature superconductivity and phase transitions in fermionic systems. In 2016 he received the two highest scientific prizes in Poland: The Foundation for Polish Science Award and The Prime Minister Prize, for his work on strongly correlated systems, and in particular,for the original derivation of the t-J model. At present, he is working on another book, Introduction to Condensed Matter Physics, with selected topics in strongly correlated systems, to be published by Springer-Verlag (2018).